I was never a big Will Eisner fan, but he garnered so much industry respect that I thought I must be missing something. 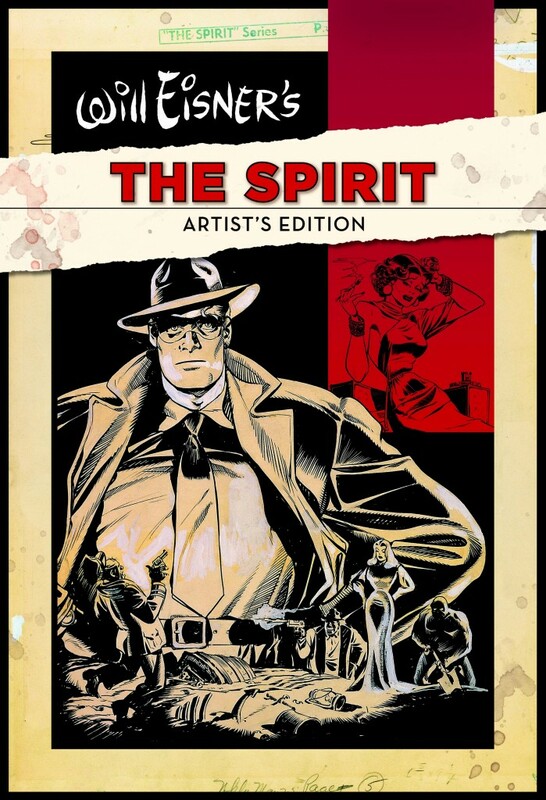 I really wanted to go back and study his work on The Spirit, but any trade reprints just didn’t seem to be of great quality. Let’s face it, the production quality of comics has come a long way from the off-register-colored stuff printed on newsprint which made up the comics of my childhood. Frankly, I preferred the DC series which were done by Darwyn Cooke several years ago. So I never purchased any of the series by Eisner. And then came the IDW Artist Editions. I watched a YouTube video of someone flipping through one of The Spirit editions, and it just didn’t impress me. And then I saw one in person and flipped through it – Wow! Seeing the work up close made all of the difference in the world. Naturally I bought both volumes. The first thing I have to say is that I now understand why everyone has such great respect for Eisner. 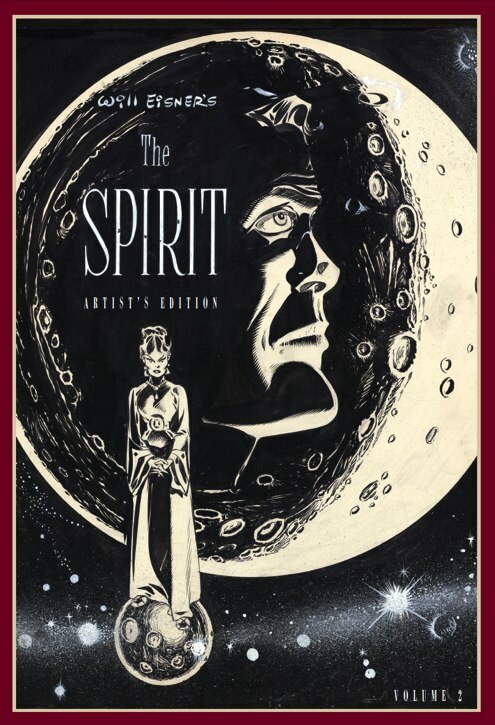 His work on these Spirit comics is amazing. And seeing the original-quality inking without the distraction of coloring really highlights what’s best about this work. Eisner wasn’t just a great sequential story-teller (which is what I thought was his claim to fame). He was really a great artist as well. I would recommend any fan of good, traditionally inked work to run out and get themselves a copy of these editions. An artist can learn a lot from studying these. 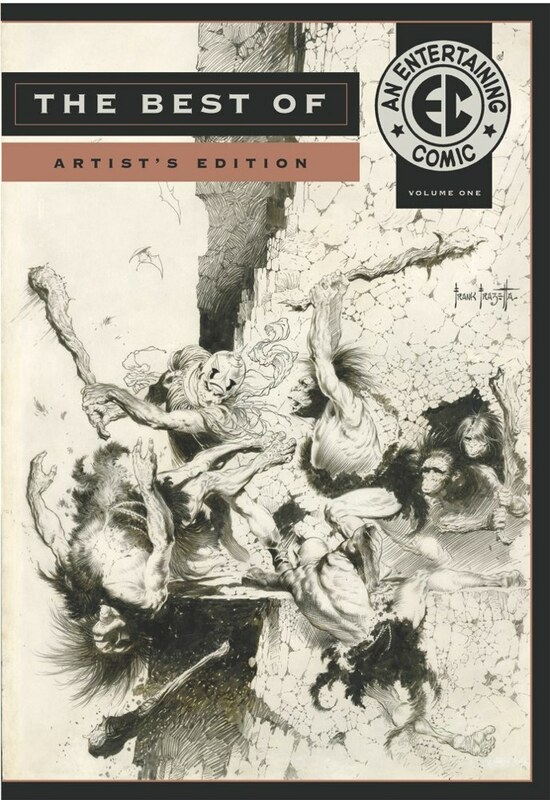 The IDW Artist Edition on EC comics is my least favorite of the ones I’ve reviewed, though, that Frazetta cover is an amazing work of art which one could study endlessly (it’s easily one of my favorite Frazetta pieces). I was really hoping this edition contained mostly collaborative work by The Fleagles, but that wasn’t the case. It’s still a top-notch volume where quality is concerned, but if you’re looking for lots of Williamson, Frazetta, and Krenkel, don’t look here. I think there was only one such collaborative story, but that isn’t really much in a volume this large. Wally Wood also isn’t represented here because his work was saved for another Artist Edition devoted entirely to him. Still, as I said, it’s a well-produced book. 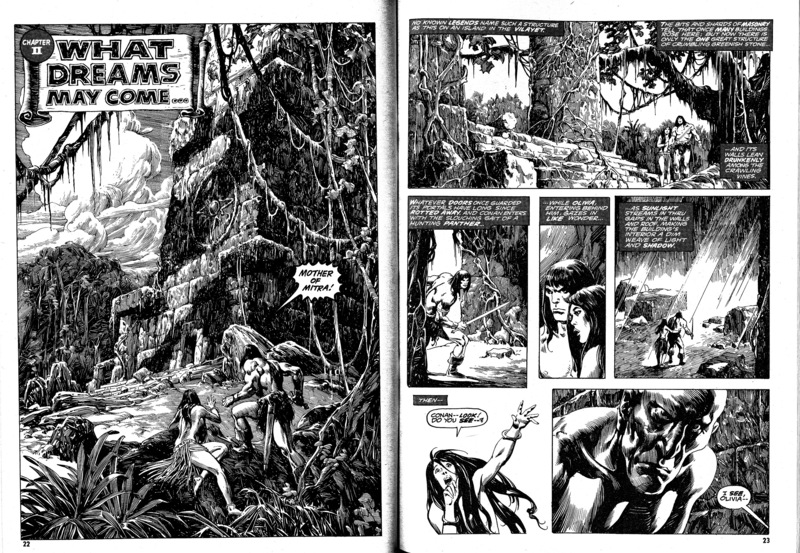 Regarding future IDW Artist Editions, what I’d really like to see is some work from Marvel’s Savage Sword of Conan magazine (from the 70’s) reproduced in this format. I really want to see Big John’s penciling with Alfredo Alcala’s beautiful pen and ink work. Can you imagine seeing the following pages reproduced at their original size in all of their splendor? Perhaps someone at IDW is already on to these and has plans for reproducing them in a future Artist Edition. One can only hope. In my last post, I shared about the Rocket Men poster I did for the Comikaze Expo. Well, John Semper, the gentleman for whom I did the poster, suggested that I attend. While the San Diego Con is really enough pop-culture-convention-time for me, I figured it couldn’t hurt to check out the Spider-Man panel to say “Hi” to John in person, as well as check out this Expo which I’d never attended. The thing is, I really didn’t want to attend this show badly enough to purchase tickets, so I went on their website to register as a professional and try to acquire complimentary passes. With the show being less than a week away, I really didn’t think I’d get in. Furthermore, the registration page indicated that it could take up to four weeks to be approved for professional status. As it happened, it only took a few days to get my professional status approved, and they offered me complimentary passes to the current show. That whittled my cost down to gas, parking, and lunch. Not too bad. I went online to pre-order parking and, as I expected, parking for the convention center was sold out. Fortunately, there are surrounding lots which still had some available spaces, so I pre-ordered my parking. When my wife, Cristina, and I arrived downtown, the parking lots were not accurately marked, and as there were many little lots on the same block, we had to circle around and inquire at a few lots to find where we were supposed to park. When we finally found the right lot, it was full… Wait, huh? Isn’t that what pre-ordering tickets is meant to avoid? I suspect the persons of dubious character who were letting cars in were probably just doing their own parking business on the side. I was naturally bent out of shape at having to pay again to park. Anyway, we did the driving version of musical chairs, hoping we could squeeze into a parking lot somewhere before the music stopped. Fortunately, we found parking at a lot across the street of the Staple Center. As we drove into the lot, the attendant at the entrance was changing the sign and raising the cost to park another fin, so we just avoided the price-hike. 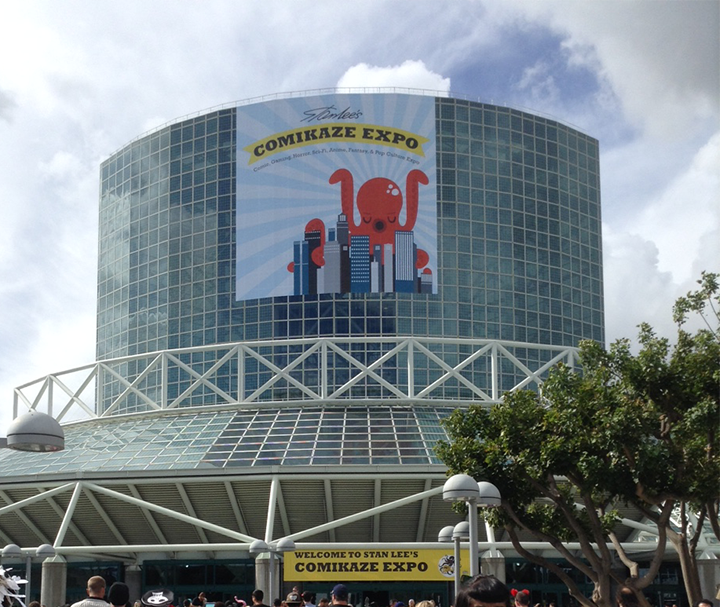 The convention floor of the Comikaze Expo was pretty full. I though the energy and buzz there was much larger than the Wonder Con in Anaheim. It actually felt like the San Diego Con, only with all the big-money booths absent (i.e., no big film studios or comic companies seemed to be present). We were only on the floor a few minutes, after which we headed upstairs to the Spider-Man panel to see John Semper talk about the series and announce the Rocket Men project. He also announced that the entire cast of the Spider-Man series committed to doing the Rocket Men series, so that’ll be interesting if the crowd-funding comes through. That’s John Semper on the far right. Everyone else were voice actors on the 90’s Spider-Man animated series. After the panel, Cristina and I went back downstairs and walked the entire floor. While the excitement of the show was there, I have to be honest in saying that most of the smaller exhibitors that interest me at San Diego were absent. The crowds were certainly enthusiastic, and there were lots of people in costume, but there wasn’t much that caught my eye at the booths. To be fair, I’m only referring to things that interest myself, so others might have a different opinion on that matter. I’m sure there was plenty to interest others. Because few booths interested me enough to stop in them, we pretty much were able to cover the entire showroom floor in a couple of hours. One thing that I thought was really cool while we were walking the aisles is that they held a large panel with Stan Lee and various artists right on the convention floor, along the back wall. It was projected on giant screens so that people walking the aisles could watch it. I thought that was a clever way of letting people enjoy the panel without wasting half of their day in a line and having to crowd into a panel room. I wish there were something like that at the San Diego Con, though I realize that would cause them to lose precious exhibitor space. We pretty much left after walking the convention floor. I didn’t have much interest in hanging around all day for the after-show party that evening. All in all, it was an interesting show. I suspect that in the future many film studios may switch to this show since it’s so much closer to Hollywood than San Diego. Still, I suppose it depends on how successful they continue to be. In the meantime, I still prefer the SanDiego Con over either this or WonderCon. Back in 2009, writer of Kid, Inc. comic strips, Chuck Duffie, asked me to illustrate a few strips for him. I was working with existing characters, so I had to stay within the style guidelines already set by the previous artist. Here is one such strip I did. You can check out Kid, Inc.’s website for more creative works from Chuck Duffie and his creative family.